The National Institute of Deafness And Other Communication Disorders says that there are more than 28.3 million adults in the U.S. who could benefit from wearing hearing aids – around 12 percent of the total adult population. As a result, there’s a significant need for these devices. Hearing aid prices can vary depending on what you’re looking for, whether it’s a more basic unit with traditional features, or a more advanced device with all the latest technologies and features. Hearing aid technology has improved dramatically over the last decade, thanks to price-performance improvements across the broader technology sector. The quality of hearing aid components, such as microphones, processors, and speakers has improved while prices have declined. Even the best hearing aids of a decade ago are no match for entry-level products today thanks to these improvements. The primary function of a hearing aid is to take in a sound signal, process it digitally, and then send an enhanced signal down the ear canal, allowing a person who is hard of hearing to perceive incoming sounds better. But, thanks to the rise of modern technology, there are now a plethora of additional options which, naturally, have an impact on price. 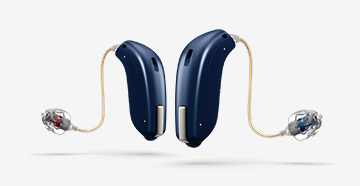 Hearing aids use what manufacturers call “channels” to process incoming sounds. These channels split up the audio spectrum and enhance certain aspects of it, depending on the needs of the patient, allowing customization for different pitches and frequencies. Basic models might allow you to program two channels, whereas more advanced devices might have eight or more. Finer control over the types of noises that are enhanced helps to provide a better audio experience overall, depending on the type and severity of hearing loss. 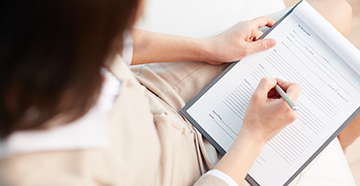 Many basic hearing aids also come with features which allow patients to connect wirelessly to FM radio or receive phone signals directly to their hearing aid devices through telecoils. This helps to eliminate the need for the microphone to process incoming sounds. Because hearing aids contain both a microphone and a speaker, they can produce annoying and unpleasant feedback noises, usually in the form of a high-pitch whistling. Feedback management systems on basic devices deal with this problem by turning down the amplification, whereas advanced systems eliminate feedback without impacting on audio volume. The most expensive hearing aids on the market offer many technologies above and beyond those required for effective operation. Many of these technologies can be viewed as an investment, improving the quality of life of the user. For instance, some models include Bluetooth functionality, which allows users to connect their hearing aids to smart devices. Because the Bluetooth signal is digital, it can be sent directly to the hearing aid’s processor without any sound and then re-emitted by the speaker, reducing the risk of feedback. Advanced hearing aids also permit binaural processing, allowing them to coordinate incoming sounds in a way that is similar to how the brain would typically process auditory information. Signal timing can help eliminate annoying delays or inconsistencies between the sounds produced by either aid. Higher quality hearing aids also come with features which cancel out wind noise, similar to modern mobile phones. Wind noise can be frustrating, especially on less expensive devices, because it prevents users from enjoying outdoor activities, like golf and skiing. When amplified, wind noise drowns out the important sounds that users want to hear, and so eliminating it can lead to dramatic improvements in quality of life, especially for active people. Finally, more expensive models can learn to adapt to circumstance by tracking your preferences and automatically implementing them when they detect a new environment. This means that users don’t have to make so many adjustments on the fly. Although hearing aids may appear expensive, it’s worth remembering that you’re not just paying for the device itself, but also the audiologist consultation, fitting and research and development costs of companies that want to create better devices in the future. The best way to view a hearing aid purchase is to see it as an investment in your quality of life – something that enables you to return to the lifestyle that you once enjoyed. The Center for Audiology offers a range of affordable hearing aids, depending on your needs and budget. 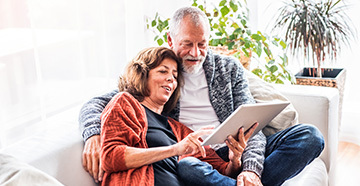 Many of these hearing aids are customizable and can quickly connect with your iPad, iPhone, smartwatch or tablet. They can also be set to detect and prioritize speech, ensuring that you can converse more naturally with the people around you. To find out more about affordable hearing aids, contact us at (713) 255-0035 for our Houston office or (713) 800-5050 for Pearland.